Follow up that falls flat is wasting your networking time. As a virtual assistant, you probably know by now that everything in your business can’t be done virtually. Most things can – but when it comes to meeting new clients, the quickest way is still in person. When you see people face to face, trust builds more quickly and easily. Online connections have their place, but face to face networking is really something you should get used to in your business. And when you do, make sure you have an effective follow up strategy. Meeting people in person takes more time, so you want to make sure you are making the most of your time by building a solid foundation for those new connections. 1. Collect business cards or contact info. When you go to an event, you often meet more than one person at a time. It will be difficult to remember all of the details about everyone, so be sure to get their contact info so you can reach out to them afterwards. Even if you think you have only met a few good connections, it saves you time when you get home to connect again. Bring your own business cards to hand out as well. The other person may not contact you (if they don’t do good follow up!) but it is always professional to be able to hand out your card, and often it becomes a conversation starter. 2. Send them a resource or something of value. After you have met someone, send them an initial email letting them know that you enjoyed meeting them, what you liked about the event, and something that you think might be of value to them. Sometimes that is a link to one of your blog posts that was the topic of a conversations. Or maybe you send them the name of a book from an author you spoke about. Or a link to and event you discussed. Whatever you send them, make sure it’s in line with what you talked about at the event. Relevancy is important – it shows that you were listening. 3. Ask before adding them to your mailing list. Even though you can technically add someone to your mailing list when they give you their business card, always ask them first. I always prefer to have people reach out directly to me after I give them my card – rather than just starting to send me their newsletter. Because it often takes up to 10 ‘touches’ for someone to move from being a prospect to a client, you don’t want to lose them right away by dumping them onto your newsletter list. Those touches really should be made personally if you met face to face. 4. Introduce yourself afterwards if you didn't have a conversation. Some events allow you to put your business card at everyone’s place setting, or they provide you with a swag bag with marketing materials in it. If this is the case, and you find yourself with a handful of business cards, start at the beginning. Reach out to the person and introduce yourself as you would have in person. If you can get the opportunity to have a quick phone call it’s even better. Try not to discount anyone from their business card. Reach out to everyone. You never know where your next client will come from. If someone doesn’t look like they might be your client, they could still have a great network, and be a potential referral source. Take a few minutes to explore their business and you might be surprised. 5. Connect with people on their social networks. After every event, take some time to connect with everyone you met or came into contact with on social media. That doesn’t mean add them as a friend on Facebook. You can do that, but I prefer add only actual friends to my Facebook. But by all means check out all of their social media pages, and follow or like the ones that are suitable. While you are there, explore a little bit about what they post and who they are speaking to. Add that information to your follow up notes in case it is relevant to your conversations. Social media is meant to be social, so don’t just follow them and be done with it. Take the opportunity to reach out and send them a personal message. And like and share their stuff. The best way to get a referral is to give one first. The same goes for social media. Share other people’s stuff and they’ll share yours. You may have heard that saying and it’s true. Why spend your time networking if you are not going to work to make those connections stronger? And when you develop a system that works for you, your follow up can be flawless and regular. And you will get clients sooners. For more great info about networking for your VA business, check out my free networking videos for Virtual Assistants on my Youtube channel. 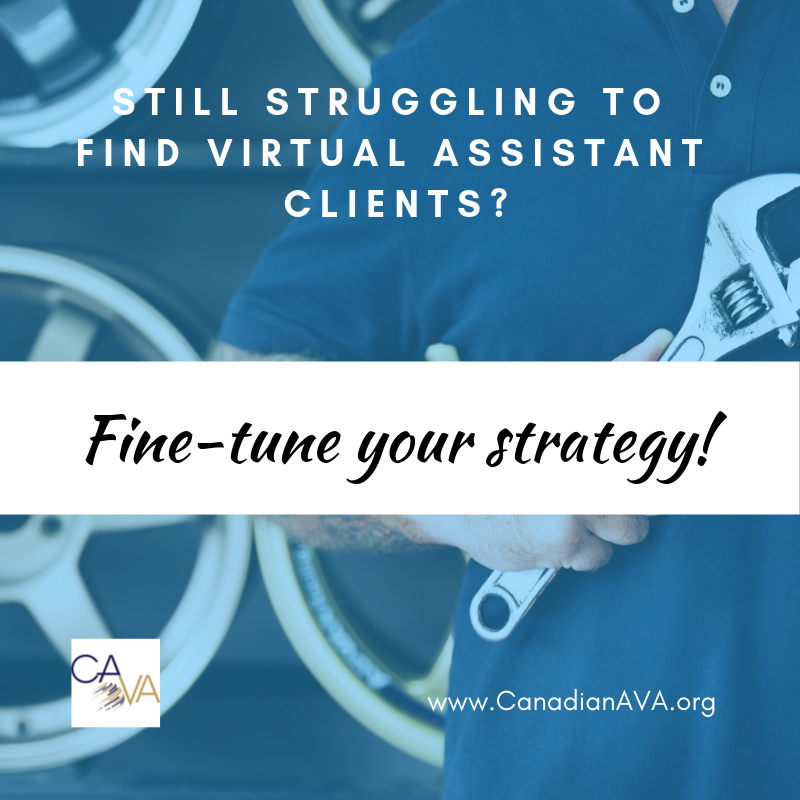 Struggling to Find Virtual Assistant Clients? Look at Your Numbers! Are you still having trouble getting Virtual Assistant clients through networking? I hear this often from VAs in the online forums. They feel like they are always networking but not getting clients. It can be very discouraging when you feel like you are doing ‘everything’ to find clients but you are still struggling. We take it personally and the defeat can actually make many VAs throw in the towel on their business. How many clients are you actually looking for? If you were looking for 100 clients, then you would have reason to be discouraged if every time you went to an event you came home with nothing. It would be an uphill battle to try to find 100 people to work with you. Most VAs are looking for far fewer clients than that. You are probably only looking for one (or one at a time). To fill your practice you may only need 5 good clients. Five! So specifically how many people you need to connect with to find 5 clients? Do you know that number? Getting strategic about your numbers makes things easier to measure and to set goals that can help you get the clients. How many you need to connect with depends a lot on where you are choosing to network. If you are networking in the right place, you might only need to talk to 5 people. Most of the time it’s more like 15 or 20 good contacts that convert into 5 clients. The point is, it’s a lot fewer people than you think it is. If your networking is not working for you, you probably aren’t being strategic enough about it. 1.Go only where you know there are potential clients. If you go to a lot of events and don’t get clients, identify why that is. Who are you meeting there? Are the people attending 'your' kind of people? What are your conversations about? What are you saying to them? 2. Know your services inside and out. If you know who is attending the event, you can decide what you want to talk about, or present, in terms of your service offerings. 3. Talk to people to gauge their interest. Can you help them? If you think you can, ask them questions about their business and chat about how you can think you can help them. If there is interest, invite them to a sales conversation after the event to explore the possibility of working together. It really can happen that quickly! Networking strategically works for you much better than just ‘spending time’ networking. You must have a good strategy to make it work for you. Figure out where to find the people that you can help. And make the decision to spend your time there. Focus your efforts on one good networking place, and make it work for you. When you realize how easy it is to just work with your numbers, you can get clients much more easily. Set up your strategy and when you find one client, then you simply rinse and repeat the process that got you that client. I Hate Selling - How Do I Get Clients for my Virtual Assistant Business? Do you get uncomfortable selling your VA services? If you do, don't worry you're not alone. This is one of the most common issues for Virtual Assistants who are just getting started (or who are trying to grow). Here's the reason: we have usually not had any sales training in the corporate world. It's really as simple as that. We don't know how! When I talk to VAs who are struggling with this, and I ask them what they say to people when they are networking, the result is almost always the same. The trip over their words. They try to educate the client about the VA industry. They leave the conversation frustrated, and the potential client confused. But did you know that the most effective sales conversations are simply that ... conversations? What are you saying to potential clients? If this is you, it's a really simple fix! All you have to do is make all of your conversations about the client. What do they do for their business? How do they find clients? What systems do they use to run their business? The answers to the questions will help you tell them more about your own business - believe it or not! And everyone LOVES to talk about their own business (trust me on this one!). Once you start asking them questions, you will be much more at ease because they will end up doing most of the talking. You will also learn quickly whether you can help them or not. If you can, great - you can tell them how. It's just a conversation. If you can't, then you move on. Try it in your next networking conversation. ... and watch the conversation develop from there. There is no need to fear sales - because when you offer support, either you can help someone or you can't. Sure, you still have to talk about logistics and pricing and all that good stuff, but the general conversation doesn't have to paralyze you. Leave the infomercial out of it. Many VAs I know avoid in person networking for this reason alone. They think they have to start every conversation with their awkward one-minute infomercial. Don't do that. It's not natural and it usually falls completely flat. Just talk. Ask questions. Answer questions. Your services will naturally come up. No sales necessary. And I guarantee you that you will get clients! Being self-employed is extremely rewarding. It can also be a challenge. Often the difference is the type of client you have. The better your clients are, the more rewarding your business feels and the happier you are. So, doesn't it makes sense to create a strategy to find great clients? Here are a few tactics to consider. One of the best ways to find people you enjoy working with is to meet them by networking - either local or online. Sometimes you click right away with another business owner. A simple, “I’d love to see how we can work together” may end up producing profitable results for years to come. Networking both online and off is a fantastic way to find great clients. In fact, you will likely find that networking is the best source of ideal clients for your VA business. Put the word out about your business. You may end up with more quality clients than you have time for. When you find clients that you enjoy working with, ask them for referrals. People tend to be attracted to like-minded individuals and clients referred from existing clients tend to be of the same caliber. In short, good clients refer good clients. And often if you are working with a client you love, you learn quickly about their industry - and where more great clients are not far behind. Consider offering a referral program for your business. Reward customers for their referrals by giving them a credit towards their own work, or even a gift card or a small gift. (I love Send Out Cards brownies!). Let them know you appreciate their referrals. Consider forging partnerships with other business owners that you enjoy working with. For example, if you’re a virtual assistant who provides social networking management you might partner with someone who creates social networking graphics. Together you could offer a complete social networking package. 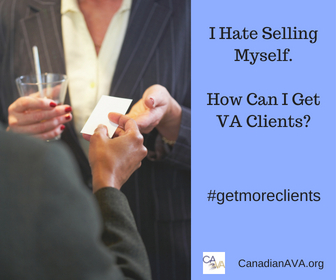 There are a few steps to take before you begin searching for more VA clients. Taking these steps will ensure you’re attracting the type of client you want. It’ll also make sure you can accommodate their needs. 1. Make sure you have room in your schedule for them. If not, consider eliminating some of clients or tasks from your calendar. 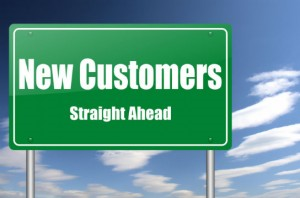 You want to make sure you can meet the needs of your new clients. 2. Identify exactly what you want in a client. What makes a client great to work with? What are you looking for? Are they easy to communicate with? Do they provide minimum instruction? Do they pay well? Define what makes a good client. 3. Take steps to make sure that your existing clients and any new clients know how much you appreciate them. Create a customer appreciation strategy. Finding those great clients is only the first step. You want to make sure to keep them too. Finding great clients isn’t difficult. Don’t hesitate to ask for new clients. Pay attention to the service you provide. 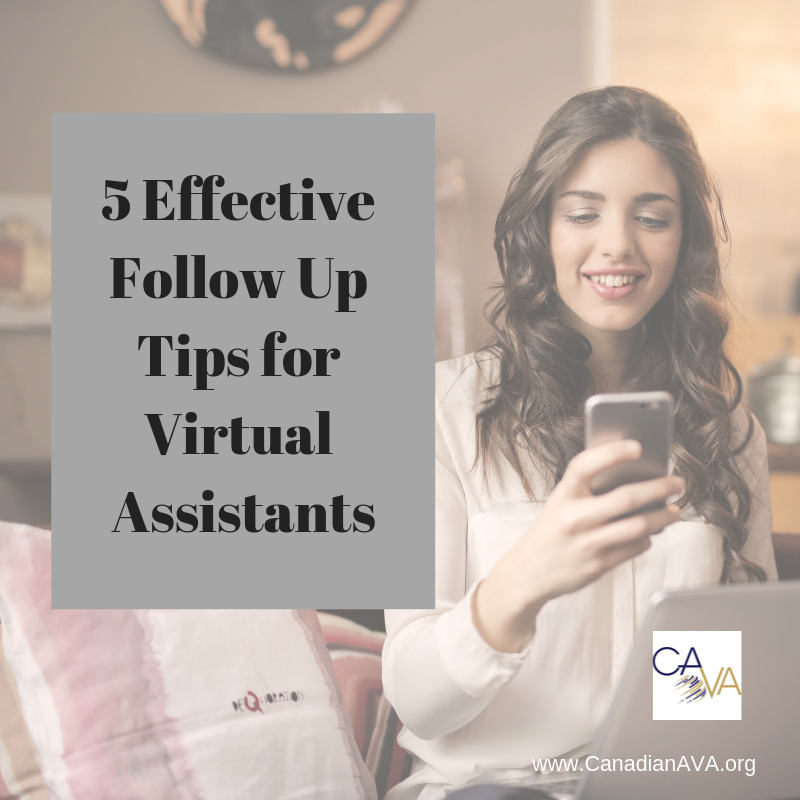 A good VA client can stick with you for years. It’s worth the time and effort to show your appreciation.